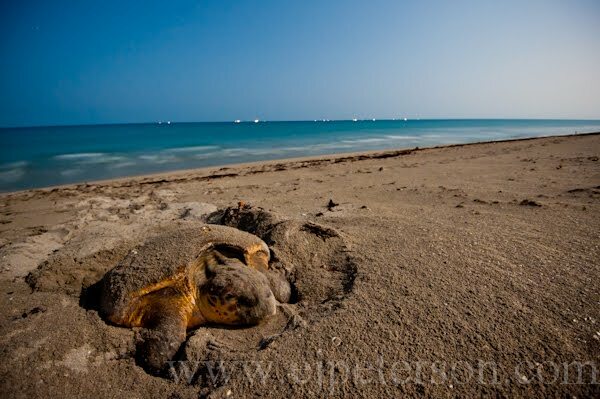 This loggerhead turtle came all the way back to her home beach off the reef club in June beach, to lay her eggs. She arrived at approximately 2:30 AM and left an hour later. Her new born turtles should be scurrying down the beach in about 55-65 days. Then in a few years, they too will come back to this very same beach.